First there was Running with Scissors, then came Boombox, now Cadmium is back with Metronome. This film has everything you'd expect from Cadmium and more, like sick riding and smooth tunes. 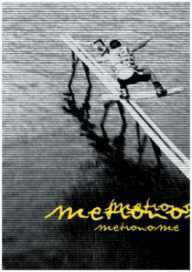 Metronome is all about pure riding that showcases each rider pushing the limits of the sport. This high-energy movie features Shane, Parks, Gregg, Watson, Chad Sharpe, Harf, and newcomers Keith Lyman and Tino Santori.